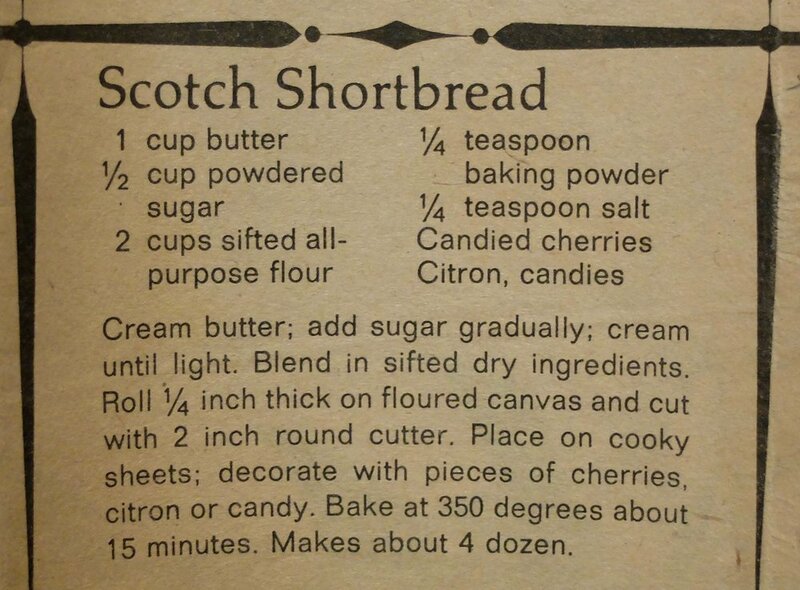 First, let's address the fact that this recipe is labelled 'Scotch Shortbread,' when everyone knows that the only things you should ever refer to as 'Scotch' are eggs and whisky. This is a real thing: the correct word is Scottish. And because I'm pretty sure no self-respecting Scottish person or any person who lives here would ever refer to Scotch shortbread, I have a strong suspicion that (horror of horrors!) this recipe was not, in fact, developed in Scotland, so I shall refer to it simply as shortbread. Now, on to more important things: Thursday is Burns' Night- do you know where you'll be? If you're me, you'll be trying to talk your way out of dancing a ceilidh with a kilted youth after eating more haggis, neeps and tatties than should rightfully be allowed by law. Burns' Night is a celebration of Robert (Rabbie) Burns on his birthday every year in January, and it's a good thing he was born in January because this would be a terrible meal to eat in July. And literally all of the whisky you can drink without dying. While cranachan and sticky toffee pudding are my favourite traditional Scottish desserts, shortbread is nothing to be scoffed at- particularly after a meal as heavy as a Burns' Supper, sometimes it's nice to have a small shortbread with your coffee and call it a night (yeah right, more like 'a shortbread with your coffee before you hit the dance floor'). So if you're looking for a non-fussy Scottish recipe to celebrate your Burns' Night here in Scotland or vicariously from elsewhere, try this shortbread. It's great plain, but works well with decorations as recommended as well. Some tips: It's important not to overwork shortbread as this will make it tough, so you'll want to mix this as little as possible. The dough will be quite a sandy texture before you roll it out, and rolling it out might be a little tough since it will want to crumble and fall apart on you. Luckily, it's ok if these cookies are a little on the thick side, and even better: if you're really not in the mood to roll this dough out, you can dump it straight into an 8-inch round baking tin, press it as flat as possible and bake it that way. If you go this route, prick the dough thoroughly with a fork after pressing it into the pan, refrigerate it for at least 15 minutes before baking, and slice it immediately after removing from the oven, while still warm. 4 spoons out of five. If you like shortbread, you'll love this- I'd give it more spoons, but, having a major sweet tooth and a need for frosting or at least chocolate in my desserts, shortbread is low on my list of faves. But this is the only shortbread I've ever had that tasted better the second day, when the texture seemed to mellow a bit more, meaning you can make it a day ahead (tonight!) and not worry about it going stale before you serve it tomorrow. Add sugar gradually, beating well after each addition. Cream until light and fluffy. Blend in flour, baking powder and salt, mixing until a sandy mixture has formed. Roll dough out on a well-floured surface- try to make it as thin as possible, about 1/3-inch (8.5mm). Cut with a 2-inch round biscuit cutter. (Alternately, pour dough into an 8-inch round pan, press flat, prick with a fork several times and bake as below). 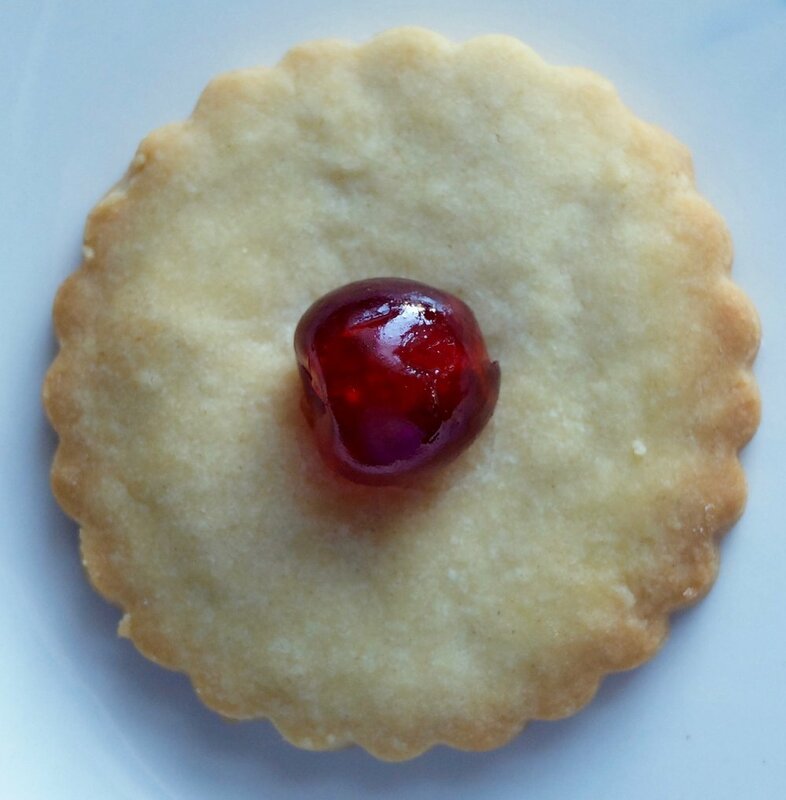 As soon as shortbread comes out of the oven, decorate with candied cherries or mixed peel. If using melted chocolate to decorate, allow cookies to cool fully first.